Spectral imaging is a non-destructive technique used to solve a variety of complex problems we face every day. This unique capability combines high resolution imaging with spectral analysis. The system is used by researchers, agronomists, geologists, chemists, and manufacturers to deliver unprecedented datasets for chemical analysis, quality control, and decision-making. Snapshot spectral imaging is key for applications that involve moving targets, from handheld or vehicle born instruments, or for imaging events that take place over time. This makes snapshot imaging ideal for any user whether your application is lab, field, airborne, or machine vision related. There are several methods currently available for acquiring images, but they are limited in their ability to satisfy the need for temporal and spectral fidelity, while reducing cost. The innovative device from Bodkin Design & Engineering, LLC captures spectral and spatial information in one instantaneous video frame as fast as one full cube every 1/1000 of a second. With no moving parts, it provides high-resolution spectra in a compact, ruggedized, low-cost package. For those interested in spectral imagers for their project, Bodkin Design is booking now for demo sessions of the FireflEYE S185 visible near-infrared (VNIR) hyperspectral imager through the month of August. 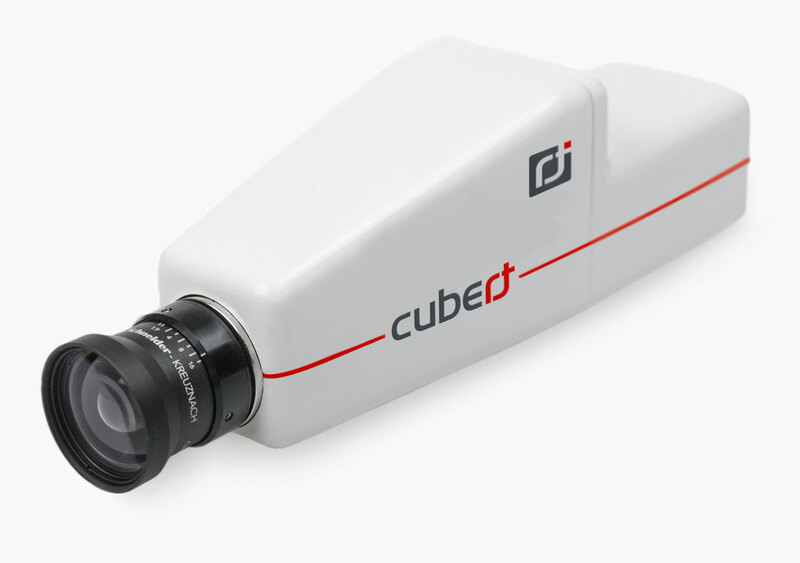 Find out what Cubert real-time imaging can do for you! How: Request a demo by emailing us at info@bodkindesign.com or calling our Newton, MA office at (617) 795-1968 ext 300. “With this collaboration BD&E now offers a full line of hyperspectral products, utilizing the patented Hyperpixel ArrayTM, as well as graded filters, filter arrays, filter wheels and multiple focal plane technologies. And we have devices covering the full spectrum from ultraviolet to longwave infrared.” says Andrew Bodkin, principal of Bodkin Design. From precision agriculture to color measurement, medical, and biological applications, and beyond, the Cubert FireflEYE S185 is for you! Bodkin Design and Engineering, LLC has been providing hyperspectral imaging equipment as well as test and R&D services since 2003. Headquartered in Newton, Massachusetts, the company serves the international OEM, commercial, military, and research communities. Specializing in electro-optic and mechanical systems, BD&E has overseen the successful introduction of products in a wide range of markets from calibration equipment for infrared imaging (IRblackbody.com), to a patented line of video rate hyperspectral imagers (hyperspectralimagers.com). To learn more, visit us at www.bodkindesign.com.